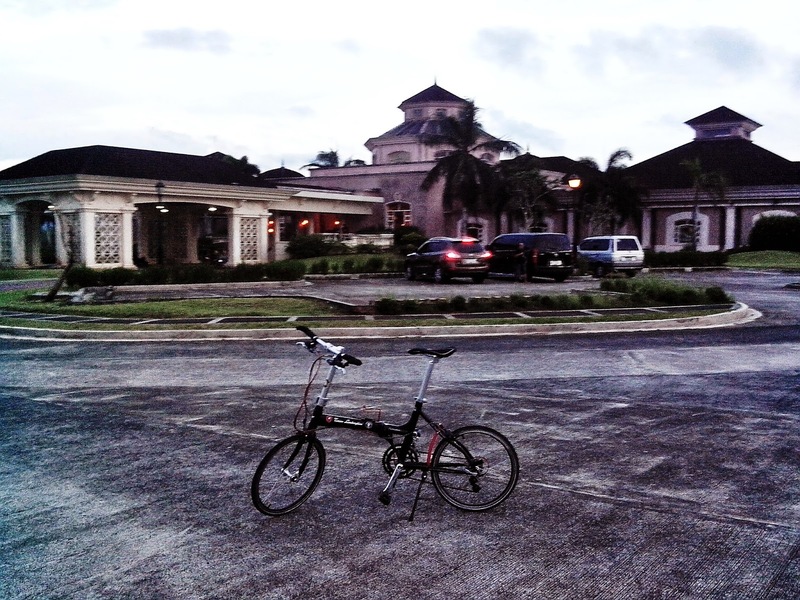 Monday - Went jogging in the neighborhood for 7 kilometers at 5:30 pm. Tuesday - Jog on the same route at the same time. After dinner I hopped on the bike trainer for 70 minutes. Wednesday - Bike Trainer again at night.. 80 minutes of easy spinning. Friday - Bike trainer ho hum.. what can I say? Felt lazy to ride and roll outside. Saturday - Accompanied my nephews and nieces on their 'outing' to Caliraya Springs Golf and Country Club. As they went to the cave for some exploration (highly recommended) I biked to their parking lot which is about 11 kilometers from the clubhouse. The place is called Eco Park but it's a funny name coz a lot of people were doing their laundry beside the park. Tried their natural river pool and went back with my foldie to the clubhouse. Sunday - I went back to Caliraya to see the kids. I used the roadie and got a photo of Lake Lumot just before getting a flat tire.